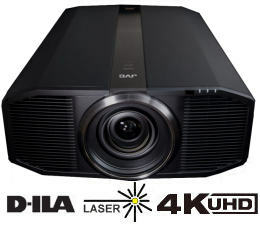 JVC has announced a new Home Theatre Projector - DLA-Z1. Uusing JVC original developed native 4K D-ILA device, "DLA-Z1" . 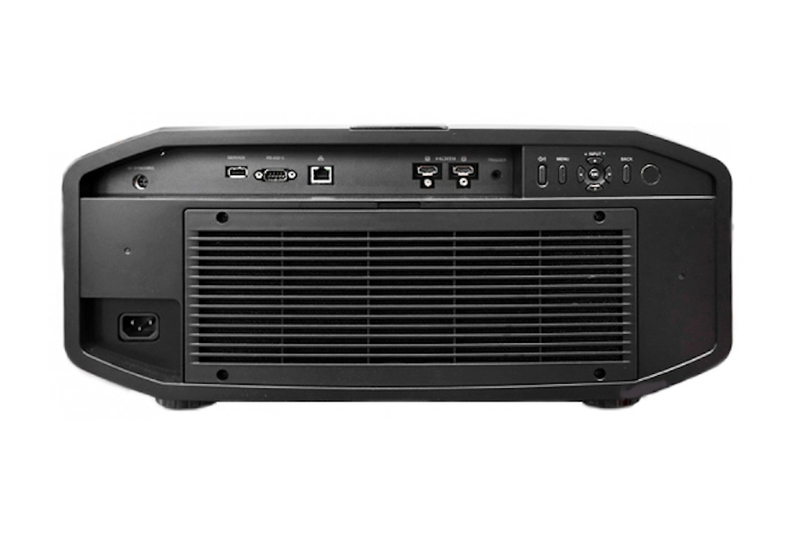 The new DLA Z1 projector includes a Laser light source “Blu-Escent”, realising a brightness of 3,000lm which also has dynamic light source control, unique for laser, plus 20,000 hours operational life time. Additionally a high brightness, high quality, and vivid 4K picture can be produced thanks to the new lens dedicated for 4K and the new Cinema Filter with wide color gamut. 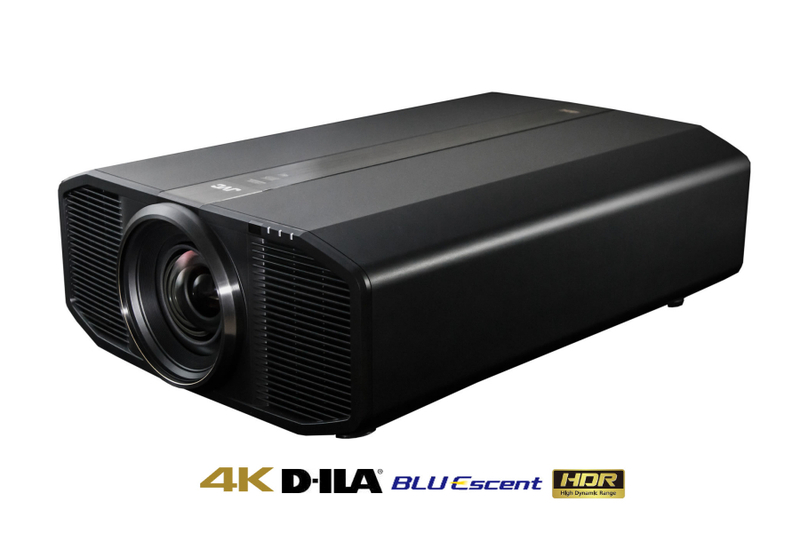 Applying to become the World’s first projector with the “THX 4K Display” approval. JVC original super resolution technology “Multiple Pixel Control” has evolved further. A new algorithm optimised for the 4K devices can produce images with fine details even when converted from Full HD images. Adopts JVC original blur reduction technology "Clear Motion Drive" which is compatible to 4K60P(4:4:4) and "Motion Enhance" which minimize the motion blurs significantly by optimising the drive of the D-ILA devices. The combination of these two technologies results in smooth and detailed image for a variety of images. Compatible with “Auto Calibration Function, which can calibrate the various pictures under various environments automatically, optimizing the picture accordingly to the viewing environment. Additional new screen compatibility for "Screen Adjust Mode", which optimises the colour differences caused by different screen materials. Equipped with “Low Latency Mode” which decrease the input lags from the source. Ten Installation modes are created for collective management of the settings like Lens Memory, Pixel Adjust, Screen Mask, which may be adjusted depending on the installation. Using the Laser Diode as the light source, DLA-Z1 light output can be controlled instantly. This means brightness control can be made without delays compared to the conventional mechanical adjustment (lens aperture). 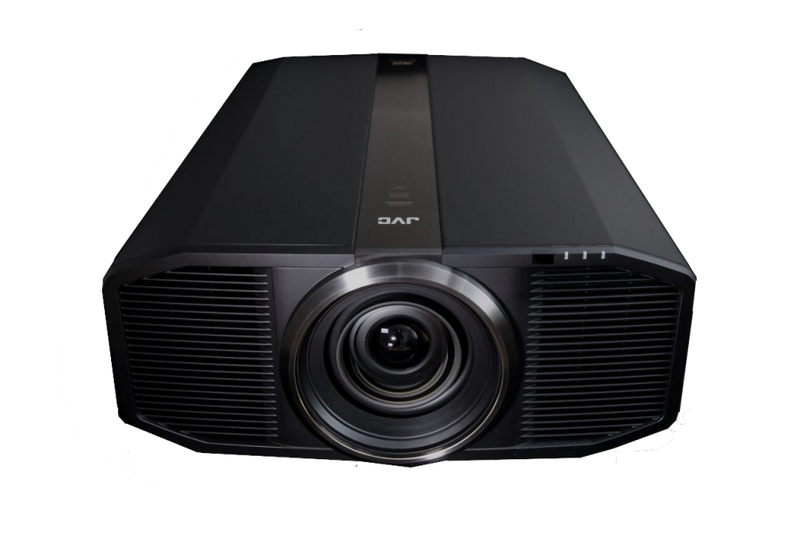 DLA-Z1 can control the laser output accordingly to the scene’s brightness, which creates picture that is close to the human perception. Also by controlling the laser output when switching scenes or during signal identifications, contrast ratio of ∞:1 has been realised. The combination of Laser light source and new Cinema Filter can obtain wide colour gamut of 100% DCI P3 and over 80% coverage of BT.2020. The gradation of sky or sea, the crimson red of a rose, the fresh green of trees can be reproduced vividly like never before. It can realise a beautiful picture even when compared to movie theatres for UHD Blu-ray contents, by expressing the various colours contained in the content utilising the wide colour gamut. Together with the “4K D-ILA” devices, a new 16 group 18 sheets all glass lens and full aluminum lens barrel has been developed. The diameter of the lens is 100mm compared to conventional 65mm, in order to project the 4K resolution to every corner of the screen whilst keeping a wide shift range of 100% vertical, 43% horizontal shift. In addition, adopting five anomalous dispersion lenses in accordance to the different refractive index of R/G/B light, the chromatic aberration and color fringing when shifted can be minimised, resulting in precise projection of 4K resolution graphics. Symmetrical design body with high quality, hairline finished aluminum center part to put accent. Matt black paint is applied to reduce reflections in pitch black theatre rooms. Inside the lens ring, that accentuates the large diameter lens, is a gold alumite ring which adds casual luxury to the model. Not only that, the rear intake/front exhaust can flexibly adapt to the various environments of installations, and further to ensure long term usages, it employs professional level air filter which can withstand sever conditions. Lamps can blow, if you need your projector working and can't afford down time, you may need to keep a spare lamp. The replacement projector lamp for the JVC DLA-Z1 is the No Replacement.